If you ever wanted to know all about internet marketing for network marketers, then you’ve landed on the right page. If you’re anything like me, you’ve probably purchased tons of e-books, tried numerous programs, and spent lots of money trying to find the perfect way to become a successful network marketer online. Some of those programs may have worked and some may not. Most of them probably left you feeling like an idiot for spending your time and hard earn money for information that you found useless. Let me just say this, you don’t have to become a “computer geek” in order to learn how to successfully prospect online. Do you have to learn some things about computers and the Internet? YES. Do you have to learn everything? NO. But there are some things that you will have to do. The first thing you will want to do is – Position Yourself Online! How do I do that? You may ask. You must build your own website that tells your story. The Internet can be a very cold place. It is a place where you can and will run across thousands of people literally seeking to do exactly what you want to do – get leads and sales online. You Must Also Stand Out. 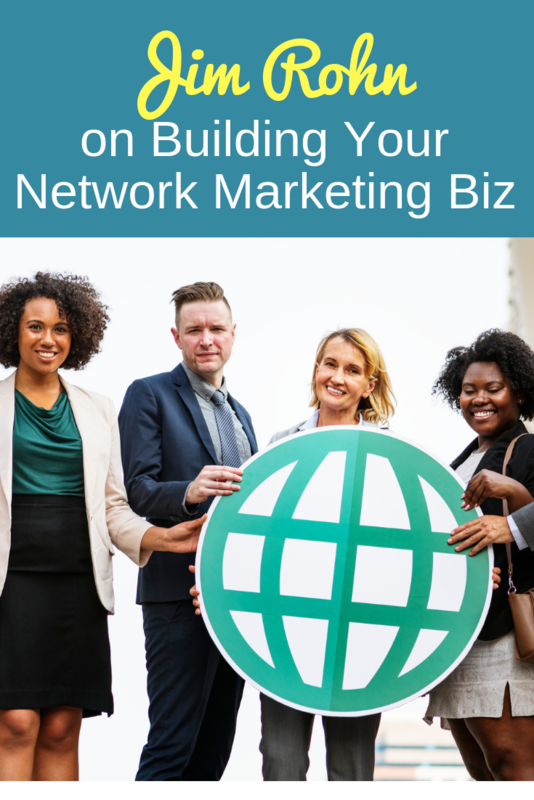 Especially because of the fact that everybody wants to do exactly what it is that you’re seeking to do in your network marketing business. They want to magically get a website and receive customers and new recruits overnight. It never ceases to amaze me how many times I’ve heard people say that they’ve received a ton of hits on their cookie-cutter website that they have from their network marketing company, but they have not gotten any orders. They just don’t understand why this is happening. It’s happening because the people that are visiting your website don’t know you. And when they visit a cookie-cutter or template site, it doesn’t really make sense to the visitor. Then what makes it worse is the fact that they (the Rep) begins to complain about paying a monthly fee for a website that doesn’t generate any orders or leads. As I said before, you must tell your story online so that you can break down the barrier of coldness on the net and you can begin to get people to trust you. Only then will you begin to generate leads and sales online. The first thing you want to do is pick a domain name. Having your own domain name sets you apart from the crowd. Especially if you have joined a network marketing company that already has millions of distributors worldwide. Your most important job is to stand out. Most network marketing companies have strict rules concerning how you may or may not use their website templates. Therefore, if you get your own domain name, then you don’t have to worry about any of those issues. STOP and ask yourself this question? Who is that promoting? Is it promoting you or is it promoting your company? Correct! It’s promoting the company and in internet network marketing your job is to promote Y-O-U! So, you should get your own domain name. This will give you a more professional look, both online and offline. Imagine your business cards designed with your own domain name versus something that looks like the website mentioned above. Branding yourself is so important in network marketing. It helps to set you apart. Think about this…when people think of having a cola, most people ask for a COKE, no one asks for a cola, right? In this case, even when people want a Pepsi, they still say I want a Coke. That’s the power of branding. Another benefit of getting your own domain name is that it comes with your own e-mail address, which makes you appear even more professional out there in the internet world. And that is the result that you’re looking for, which is to be recognized as a professional. When picking a domain name, remember to take your time. You will want to spend time picking out a name that fits with your mission and goals. You should pick one that is related to the overall end result that people seeking your opportunity is looking for. Prosperity, freedom, lifestyle, time freedom, control over their life, financial freedom, to be free in life, debt freedom, a change, etc. This is just an example of what you can put together when you begin to brainstorm your Domain Name. Obviously, this is very important, because first impressions cannot be changed, so make sure you spend some time on this. Your website is your hub. It is the nerve center for everything that you do. One of the best things you can do for yourself is to create a WordPress hosted blog. A WordPress blog with a opt-in page is the best thing you can do. Kartra – Kartra is a full service solution, you can build lead capture pages, use it as a shopping cart and create membership sites, which is great if you want to create a training area that is specific to your team. The basic package starts at $89/mo. Leadpages – This is a another software solution that allows you to build lead capture pages and more. Packages start at $25.00/mo. Click Funnels – This is a powerful software solution that not only has pre-built lead pages, but pre-built sales funnels, which is for the more advanced marketer. Here is where the Net meets Network Marketing. You must build your own lead capture page, sometimes referred to as “squeeze page”. These are single page websites that are used to capture leads. You can capture a name, an e-mail address or whatever information you desire. I’ve used mine to get names, full addresses, e-mail addresses, and phone numbers. I’ve even asked my visitors to take a small survey to find out how many hours they have available to work a business and how much they were willing to invest. Having your own lead capture page is important because it does one of the most important things in the history of Internet Marketing and this is that it helps to build a list. Building a list is important because even if someone doesn’t join your opportunity, you will not have a list that you can now go back and market to some time in the future. Gone are the days of buying leads. When you set up your own lead capture page, you can begin to generate leads on your own. The best part about this is the fact that people who inquire about a business online are on average more savvy than a regular prospect, thus allowing you the opportunity to find more qualified prospects. Plus on average they’re not just inquiring about a general business opportunity, they’re inquiring about YOUR business. Your ultimate goal with setting up your lead capture page is to get someone to give you their information. Therefore your page must be enticing enough and give just enough information about YOU, your product/service and your opportunity that someone will not only want more, but will want to sign on as a business partner. The best way to TELL YOUR STORY is to remember this formula of past, present and future. This formula states that your story must tell about your life before your network marketing business (past), how you’re doing now in your network marketing business (present) and what your outlook on the future is for your business (future). Here is an internet marketing fact: If someone won’t give you their name and address then they most likely will never buy from you. All internet marketing legends use highly effective lead capture pages before they ever attempt to sell anything. Or in the case of network marketers, a lead capture is used before someone actually joins your network marketing team or buy a product or service. This was the key to my success in the industry. I used to build these pages for my team members. With the tools that exist now like Leadpages, Clickfunnels and Kartra, you can do this like a pro and with ease. Your lead capture page website is going to be similar to a one-page sales letter. You are going to talk about YOU. Tell your story and why they should request more information from you and your company or even sign-up with you. You can even add video to your sales page to really make it stand out. What could be more inviting than for someone to come to your website and hear the sound of your voice? Your Lead Page is also where you will offer visitors a free report, related to your company and they will learn why they should be a part of your company and your team in this report. This report could discuss the top 10 reasons why they should become a rep with you and your company. On a good Lead Capture Page many people will sign up directly based on the information you have in your report. Others you will have to follow-up with via e-mail and the phone. The Fortune really is In the Follow-Up! You’ve heard it befor and it’s true. The FORTUNE in any business is in the FOLLOW-UP. In Network Marketing, follow-up is golden. What makes the Internet so attractive is the fact that you can set up your follow-up systems on auto-pilot. Experts say that a prospect needs to see your offer on average about 7 to 12 times before they take action. Imagine being able to respond to your prospects automatically when they enter their name and address into your lead capture page. This is the magic of having an auto-responder system. Consistent daily or weekly follow-up is one of the biggest contributors to online marketing success. If you want to have success, then you must be able to follow-up. And you could do this easily with any one of the systems discussed before. Even with all of those great systems I still integrate them with my email marketing service provide, which is Aweber. They’re my favorite. But they’re lots of others like MailChimp, ConvertKit, Get Response, etc. The key is once you’ve built a list, you can use it for anything in the future. Imagine Joe Schmoe comes out with a great product that will work well for people on your list. You decide to become an affiliate partner with Joe Schmoe and you e-mail your list announcing his product. You can earn instant cash when your list recipients buy his product. It is a win-win scenario for you. This is the number one reason why building a list is so important. But remember…While setting up an effective e-mail follow-up system is great, it does nothing to build solid relationships. E-mail is also very cold and it doesn’t take the place of picking up the phone and speaking to a prospect that has contacted you via the web. This is the most important thing that you can do. Once You Have Your Page Set Up, You Will Need…Traffic! No Traffic means No Leads or Sales and that is a formula that you want to avoid at all costs. The bottom line is that getting traffic can be downright difficult. It takes time and patience, which the average person has very little of. Nevertheless, once you have your website up and running you will want to get the word out. In my opinion there are two ways to get traffic, there is the free way and the way in which you have to pay. With pay-per-click advertising you can get leads or sales fast. It’s quick and it’s fast and it gives you the results you want. To tell you the truth, most internet marketers buy traffic, not all, but most do. But when you’re a top earner you can afford to do this. Or you can build a search engine optimized website and then have to wait 9 to 12 months before anything happens and before you become popular with the search engines. That’s free, but that’s a long time to wait. However, if you go after low competition key words then it doesn’t have to take that much time. (I’ll save those details for another time). Nevertheless, what you should know is that you can just post on social media to drive traffic. You have to post in a certain way. Usually by asking open ended questions and driving people to inbox you or drop their email in the comments section will help you win on social media. For example if you post, “Learn how to make extra cash with me today visit www.earncashwithme.com” This will not get you a response. However, if you post, “I just made an extra $1000 in less than hour! Who else would like to learn how to fire their boss and put cash in your pocket everyday? Drop your email in the comments section and I’ll send you the details.” Then show a picture of you with the cash. This will get traction. So there is a way to post on Social Media. You can check out my 81-page Social Media Engagement Posts Guide by clicking here. 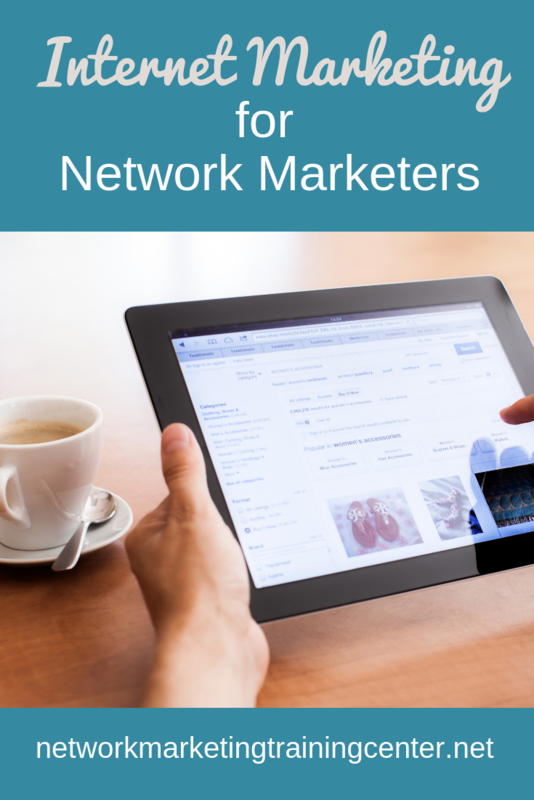 Have you had success with Internet Network Marketing? Please tell us what you do. Also if you enjoyed this article, please leave a comment in the comments section below. If you listen to the audio Jim Rohn Building Your Network Marketing Business you will become better at recruiting. This is because you will understand the industry in a new light. One of the things that will become clear is that storytelling is key to recruiting in network marketing. Jim Rohn was an excellent story teller. He knew the exact words to use to pique someone’s interest in his opportunity. Jim spoke about The Law of Averages in his audio. He said that if you do something often enough a ratio will appear. For example, if you speak to 10 people a day in the beginning you might be 1 for 10. Then over time you may be able to recruit 1 out of 10. Eventually, you will grow to be able to close 10 out of 10. But it all happens over time and with consistency. These quotes are amazing because they all demonstrate how being an entrepreneur allows you to earn profits, which are unlimited and wages are limited. Additionally, the point that Jim Rohn was making is that it is best to control your future because when you do, the possibilities are endless. By his own confession, Mr. Rohn said that what he did to change his life was change his philosophy. He said that he corrected his errors from the past and picked up some new habits and disciplines for the future. He said that someone once asked him how the next 10 years will be and he said that it will be just like the last 10 years. He said that the next 10 years will be opportunity mixed with difficulty. After expansion comes recession. And after recession comes expansion. Nothing really changes about life until you do. His words of advice were not to wish for less problems, but to wish for more skills to solve the problems of the future. Wish for more wisdom. And keep sowing seeds, because eventually your seeds will fall on fertile ground that will be fruitful and multiply. Jim Rohn’s advice about recruiting is just like mine. We always would say that the fortune is in the follow-up and apparently Mr. Rohn felt the same way. I always would say that we as people need to be a beacon of light. Mr. Rohn says we need to be bridge to take people from not knowing to knowing or from darkness to light. His best advice was to always study. If you’re in network marketing, you must become a student of the industry then you must practice your craft and then teach others how to do the same. I would encourage you to listen to his audio program. You can listen by clicking here. If you have listened to the audio before, let us know what you think. Drop a comment below to let us know your thoughts. 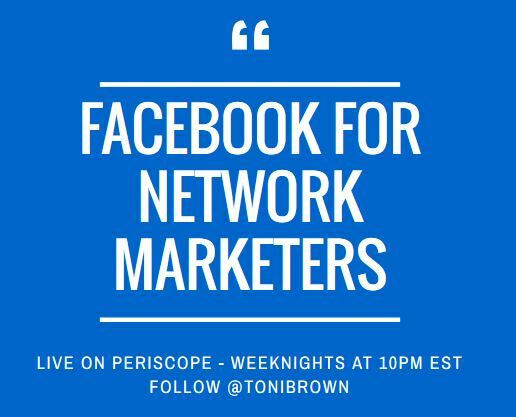 “Facebook for Network Marketers” – Live on Periscope! 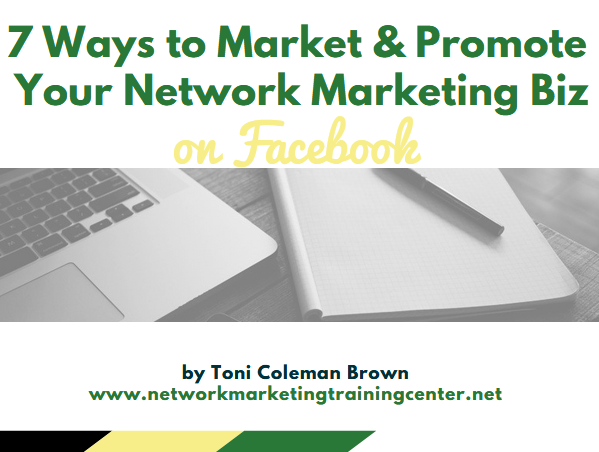 Facebook for network marketers is not always friendly. Heck! It’s not always friendly for regular marketers! However there are ways that you can add a tremendous amount of value and build a loyal following on Facebook, as well as build an amazing team of dedicated reps.
How? That’s a question that we’re going to explore on Periscope – the latest social media platform to deliver amazing content. So this month on Periscope we’re going to unmask the ways in which others can grow their network marketing business on one of the hottest social media platforms out there and the paradox is that we’re going to use one of the newer social media platforms to accomplish this. So essentially you’re going to get 2 for 1. Ha! 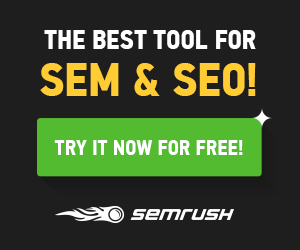 Build an authority SEO fan page – So what exactly does this means? This means that you have thoroughly optimized and utilized every aspect of your fan page effectively. And if you have not now is the time to do so. Facebook is a high ranking, high authority website. When you “Google” your name the first thing that will come up most likely is your Facebook Page. Now imagine the possibilities of what this would look like when you optimize a Fan Page for a particular key word. Choose the right name! Yes. You want to make sure your keyword is utilize in your Facebook Fan Page Name. The next thing you will want to do is: Pick a vanity URL. What this means is make sure that the keyword rich name for the fan page is also used in the URL. The third thing you will want to do is: Optimize your Posts! Yes. Did you know that the first 18 characters of every posts represents a meta description? A meta description is an HTML and XHTML element that describes your page to search engines. If this copy is used to communicate with the search engines then you will want to make sure that your first 18 characters include your keywords. While this may be a struggle in the beginning it’s worth it in the end. The fourth thing you will want to use is begin to blog from Facebook. Use the “Notes” section of Facebook as your personal blog. But does this mean you must create a piece of content for your own blog and a separate piece of content for your Facebook Notes? No! What it means is that you should grab yourself a great article spinner and spin the articles that you’ve already written until they become a totally new piece of content. If you like this content, then please join me on Periscope weeknights at 10pm EST. I will be streaming live. Learn more about the best network marketing company on earth by click here! Has the Internet Killed Network Marketing? I am not sure if the internet has killed network marketing but I can tell you that it has certainly thrown the industry a curve ball. The biggest problems that I see today in the industry is high attrition, no company loyalty, new companies being launched everyday causing too much competition and no one is focused on retailing the product anymore. Well I know that this is a mouthful so let me break some of this down. High Attrition – One of the biggest problems that I’ve seen lately in network marketing is high attrition. People quit the industry day in and day out. Some people quit before they even have a chance to get started. Some people quit before they even receive their starter pack. It is very discouraging to the average network marketer to see people leave on such a regular basis. It’s almost as if there is a hole in the bucket and as fast as you sign on a new recruit another one is leaving, which makes it feel as if you’re constantly working on patching up holes. No company loyalty – It seems as if people are leaving network marketing companies on a regular basis. Loyalty doesn’t exist, especially amongst leaders. For some leaders in the industry they seem to have jumping from company to company as a part of their income plan, especially in light of the fact that some many of them receive huge signing bonuses when they leave and promise to bring a whole lot of people with them. Doing things like that is never a good thing. A good leader that’s worth his or her salt would simply start over with a new company from scratch versus trying to raid their downline and wreck havoc on an organization. Too much competition – It seems as if everyday there is new company being launched. Every time you log on to your email there seems to be some new deal waiting in your inbox. The trick to having success is to find the individual that wouldn’t be tempted by all of this. But when you’re struggling at the bottom and an opportunity comes along that guarantees that you will be at the top because you’re one of the FIRST to get involved in the opportunity, then it may be hard for reps to resist. Your job is to find the ones who will. No one is interested in retailing product anymore. The internet has killed networking from a retail perspective. It’s hard to find a single soul who is out there actually selling product. Because getting out there is so much more expensive now than it used to be, reps are finding it difficult to find shows and find people who are genuinely interested in using their products or services. Besides, most people think that they can just send out a link to their website and that it will do all the work, but it just doesn’t work like that at all. People still want to sit down and chat, they want to touch and feel product and they definitely want to try it before they buy it, so the better thing to do is to get out there the goal ole fashion way and begin to do some retailing. So, you be the judge, Is the internet killing network marketing? I don’t think that the internet is killing network marketing. People are killing network marketing with their greedy and thirsty ways. The internet can do nothing but enhance your marketing efforts if you learn the right steps and use the right systems. You can win.